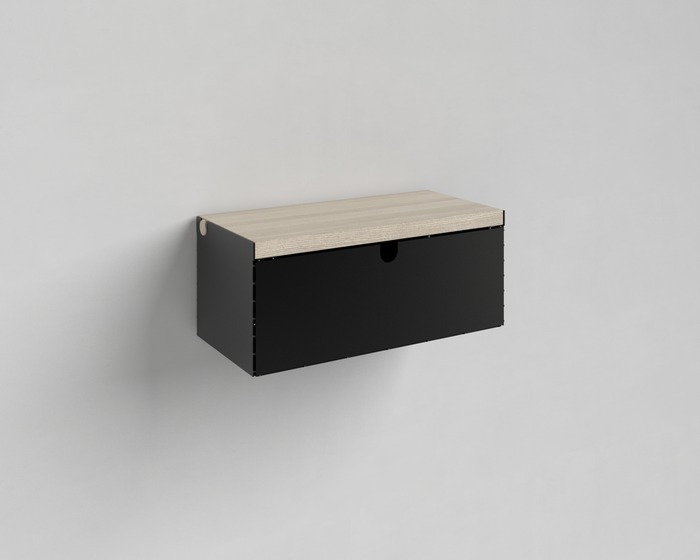 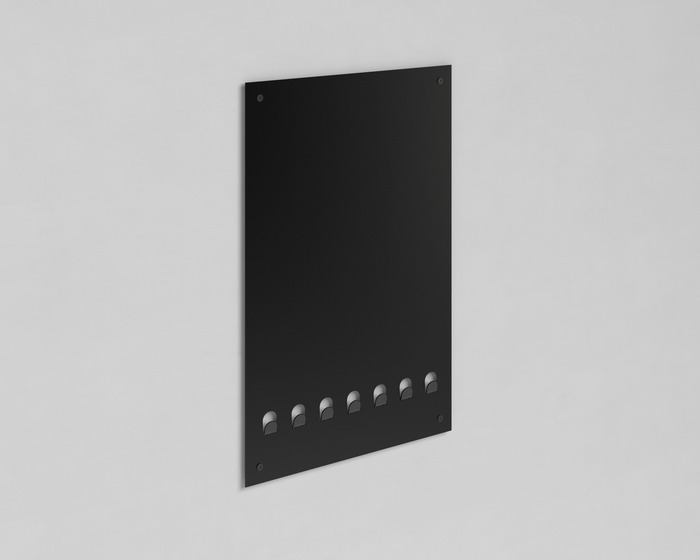 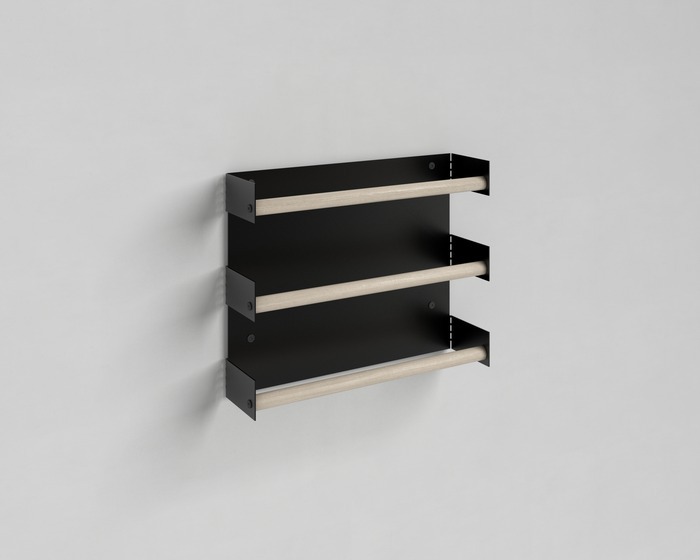 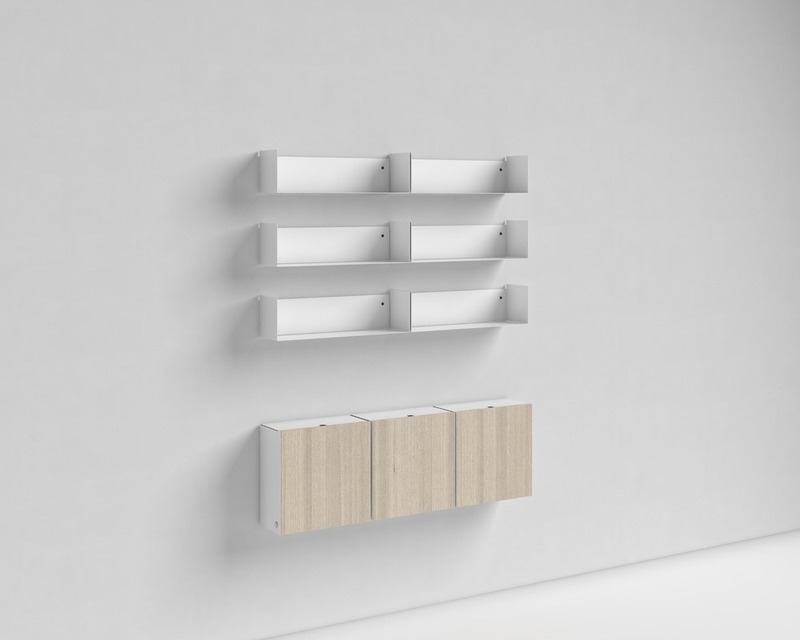 B BOXES is a series of wall‐mounted storage solutions. 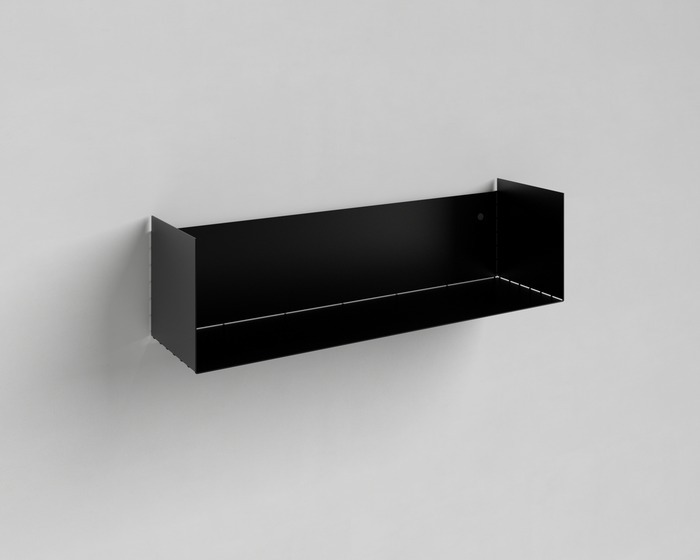 The items are constructed with thin steel sheets, each one laser‐cut and then bent into a solid structure. 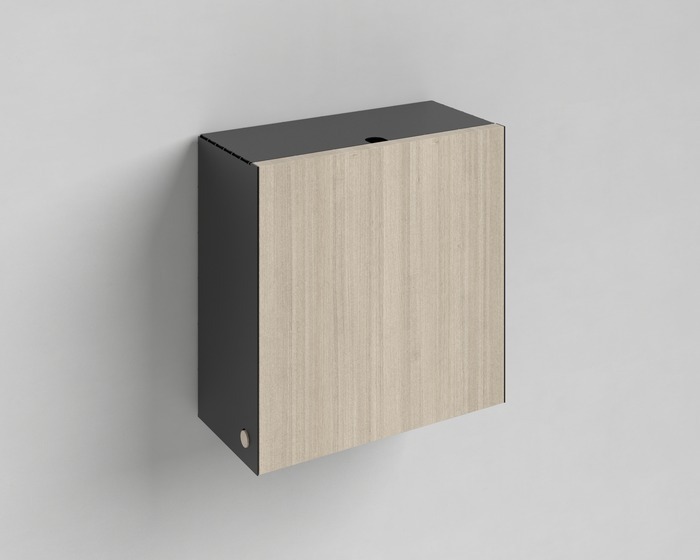 To create a sensual material contrast and differentiate the moveable parts, we combine the steel body with a solid wood life.